I really haven’t been lazy. I spent the past two months going on a couple trips (including my 10-mile race in Disney World!) and decorating for Halloween at work. We go all out. When I started prepping the ingredients, I got really excited! I’ve missed baking. My coworkers have probably missed it more because I’ve been starving them. 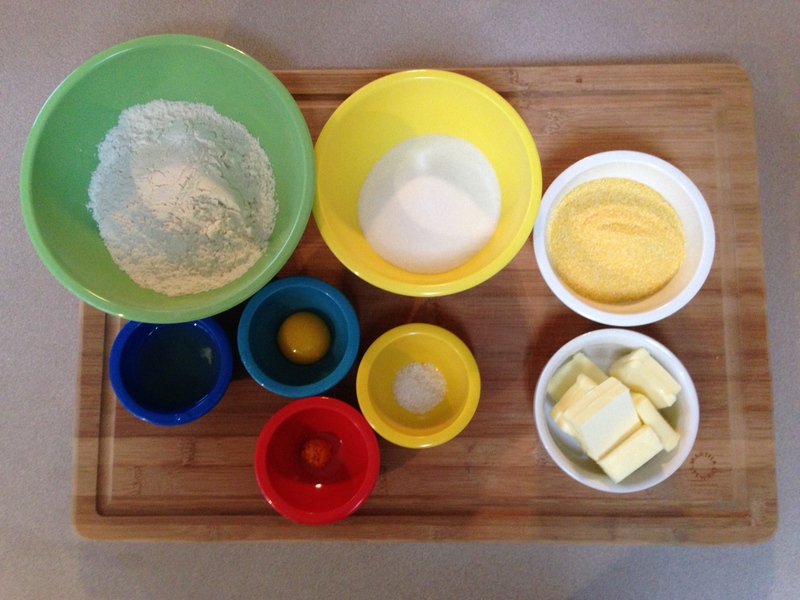 Step 1: Gather ingredients for cookie: flour, sugar, cornmeal, butter, course salt, orange zest, egg (separated). 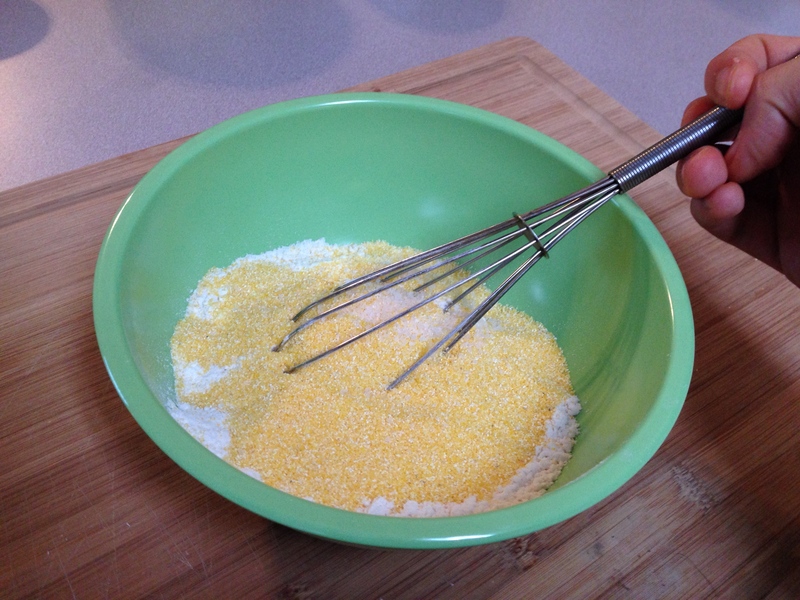 Step 2: Whisk together flour, cornmeal, and salt. Yeah, those are candy canes in the background. So what? Step 4: Add egg yolk. This is going well. I’m happy I picked an easy one for my comeback. Step 5: Add orange zest. Whoops, forgot to take a picture. 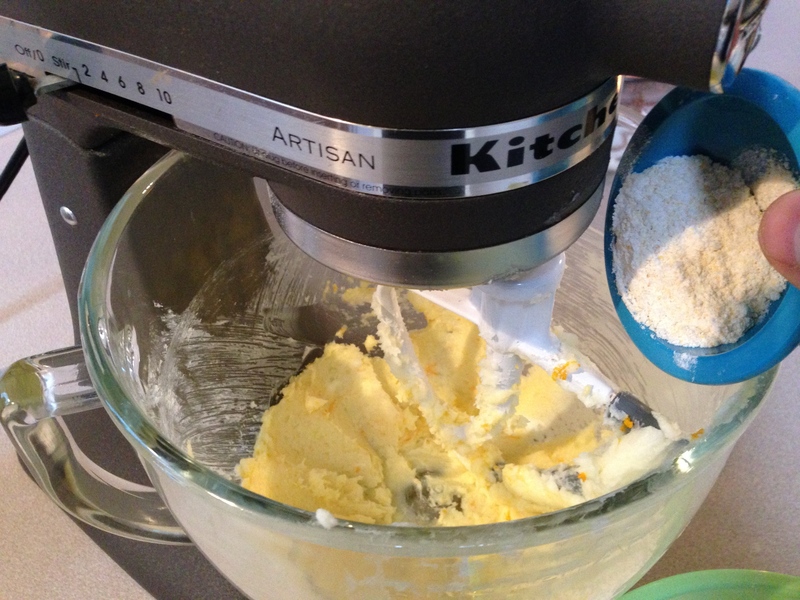 Step 6: Gradually add flour mixture until combined. 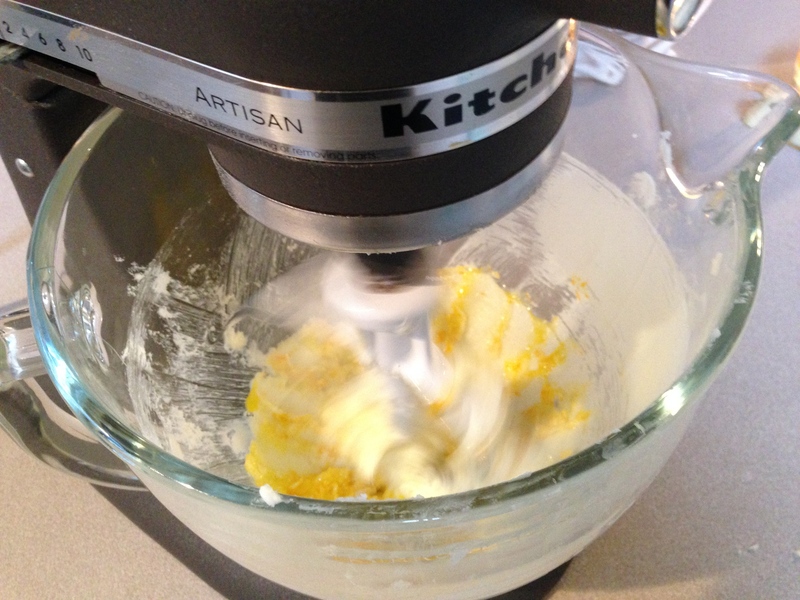 Step 7: Gently whisk egg white. This is where a tiny whisk would come in handy! Santa, I’m talking to you. 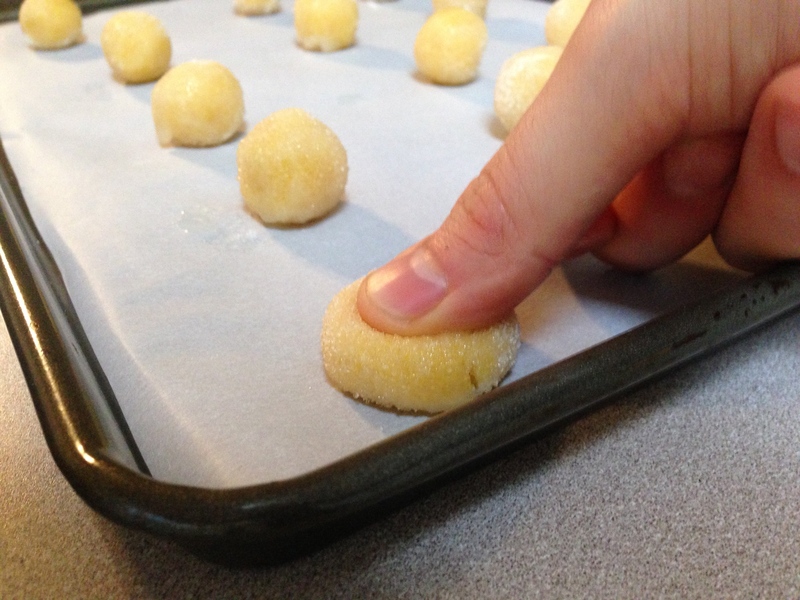 Step 8: Roll 2 tsp of dough into a ball. Step 9: Dip (dunk) into egg white. 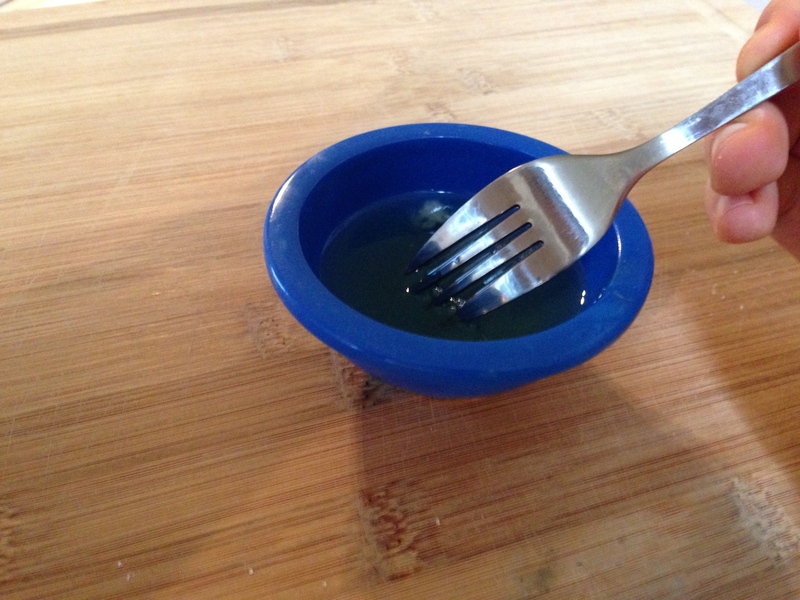 This got slimy and gross. 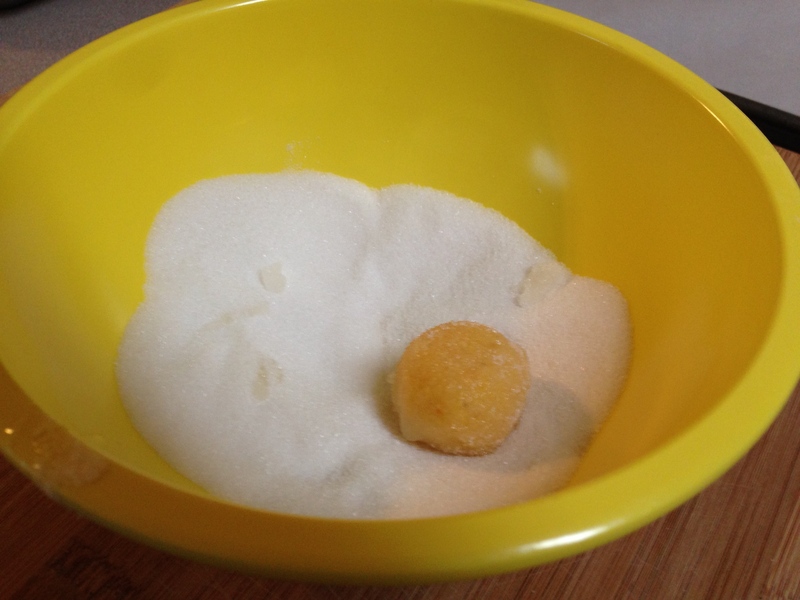 Step 10: Roll in sugar. This got goopy and clumpy. Ugh. 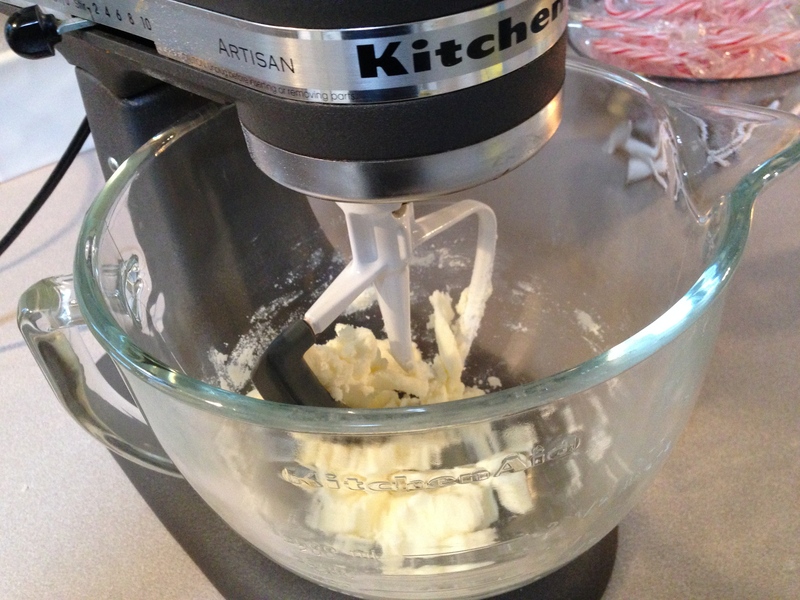 Step 11: Press thumb in center of dough. Bake. WHAT IS THIS? 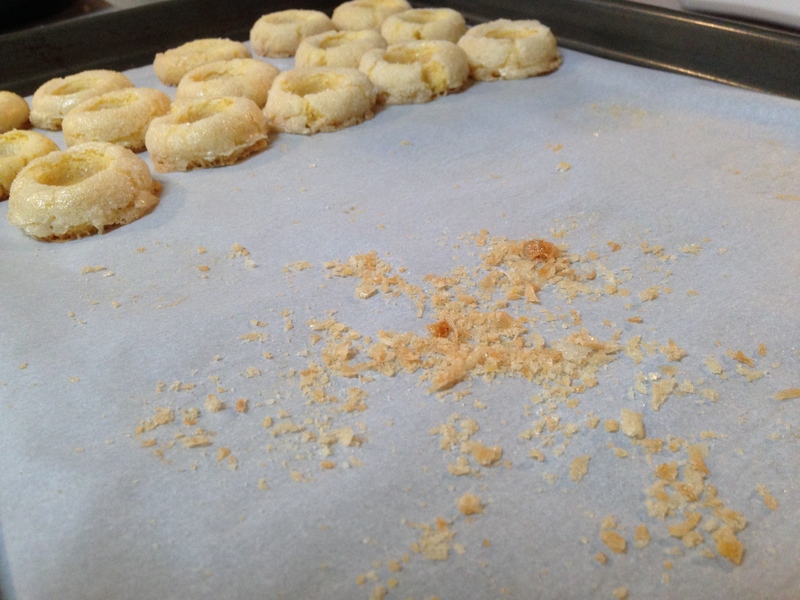 Look at all that egg white/sugar crap around the edges of my cookies! 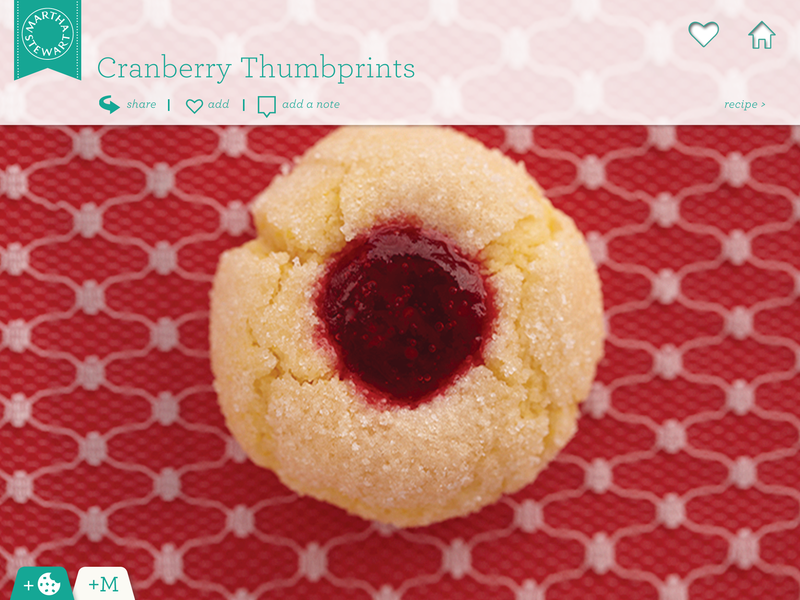 This is ruining my easy baking experience! 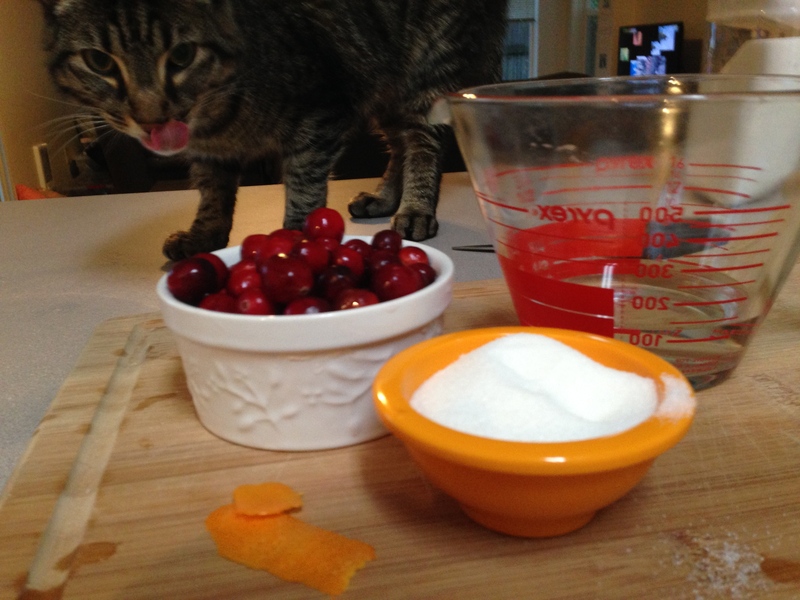 Step 12: Calm yourself and gather ingredients for filling: Fresh cranberries, water, sugar, strip of orange. Step 13: Keep your hungry cat away. Step 14: Bring all ingredients to a boil. 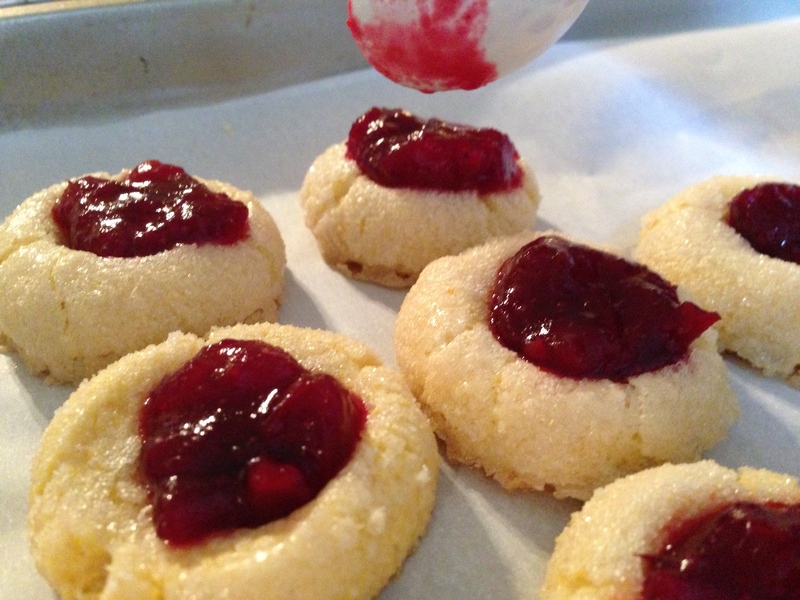 I wish I would have taken a picture when the cranberries popped open. 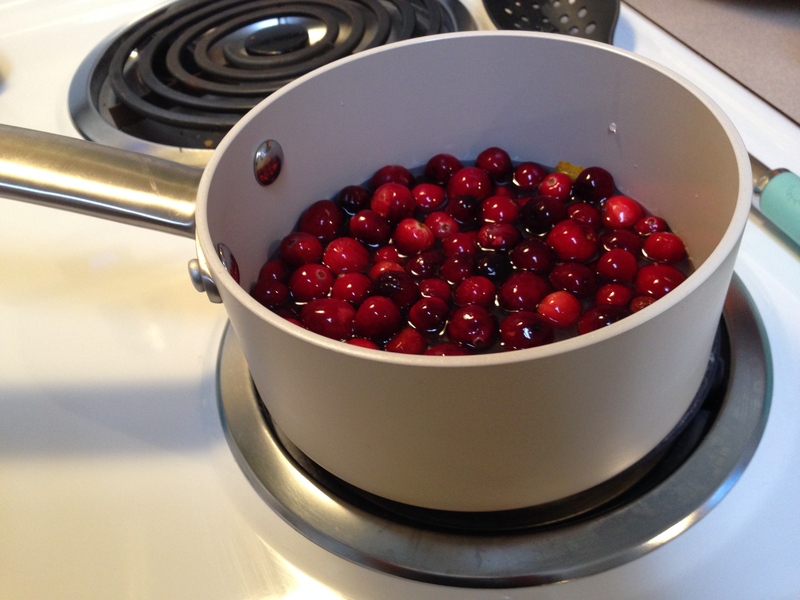 Step 15: Simmer for about 5 minutes, smashing cranberries. Side note: Look at this mess. I tried to break off some of the crap around the edges. 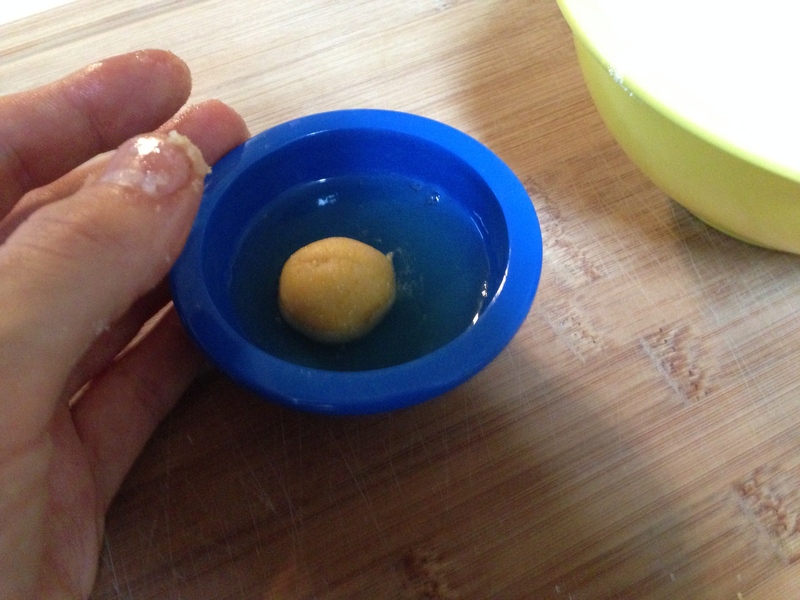 Step 16: After filling has cooled, glob it on. 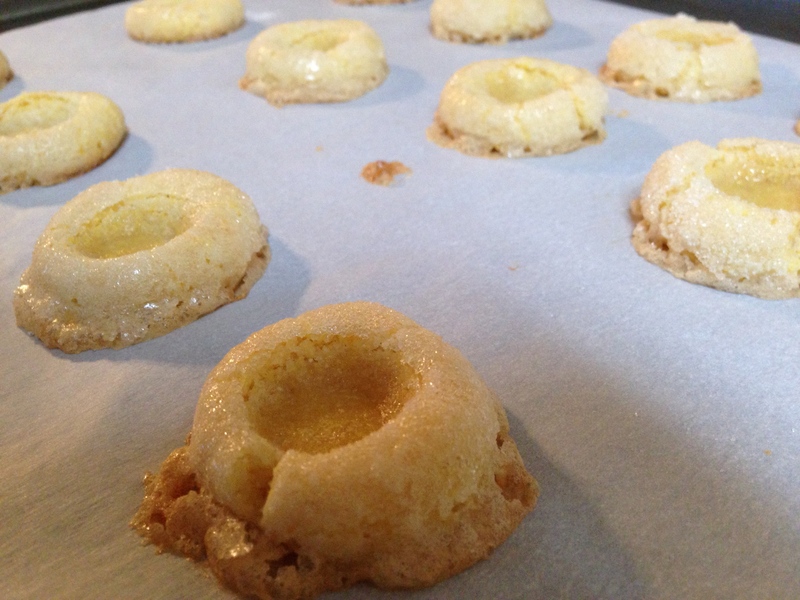 They turned out okay. Overall, I’ll give them a thumbs up! The egg white needed more whisking. It was way too globby. 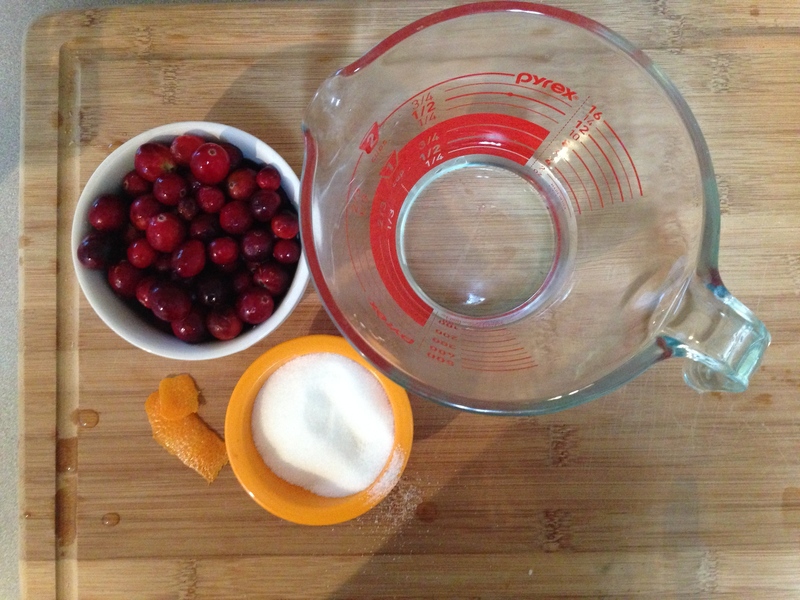 Cranberry sauce is easy to make! Hello Thanksgiving! Was there too much egg white? Is that why the edges got nasty? I tried to record a short video for the post, but I don’t like how it turned out. I’ll try again next time. Also, if you were wondering, I still can’t make a decent chocolate chip cookie. I may have to create a side blog just about that. “Glop it on” was my favorite part. They sound delicious! 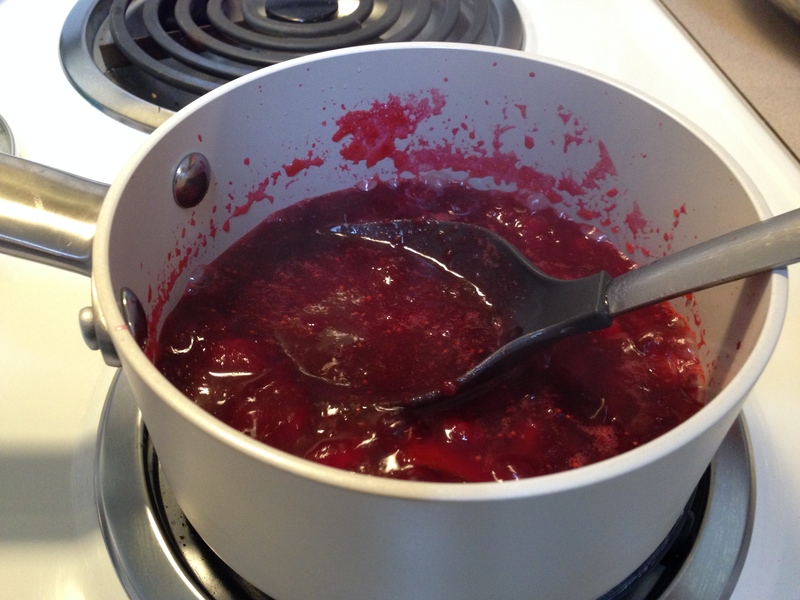 I love cranberry sauce. Especially when it’s nice and tart. 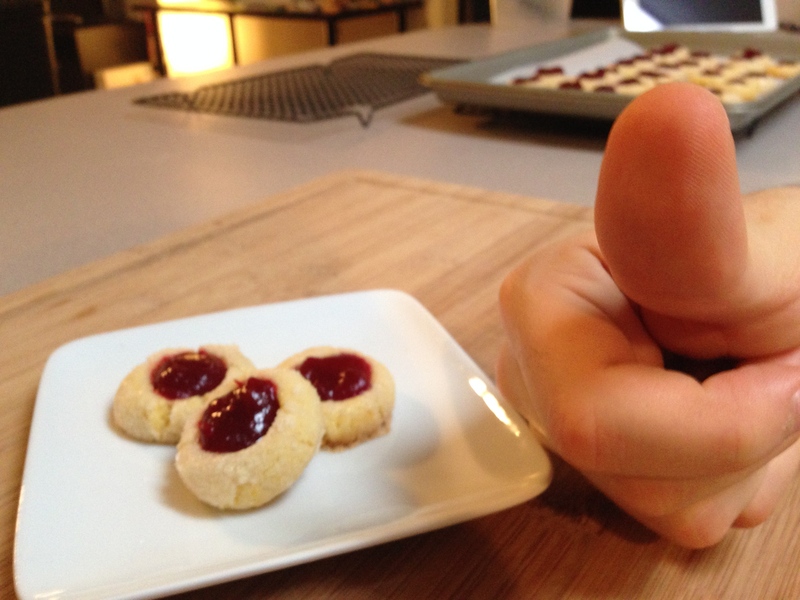 Can’t wait to see more, keep on baking! If we ever get to meet in person, we are baking (and eating) chocolate chip cookies! !